I just got these great tissue paper flowers from Heat to Heart Gifts. 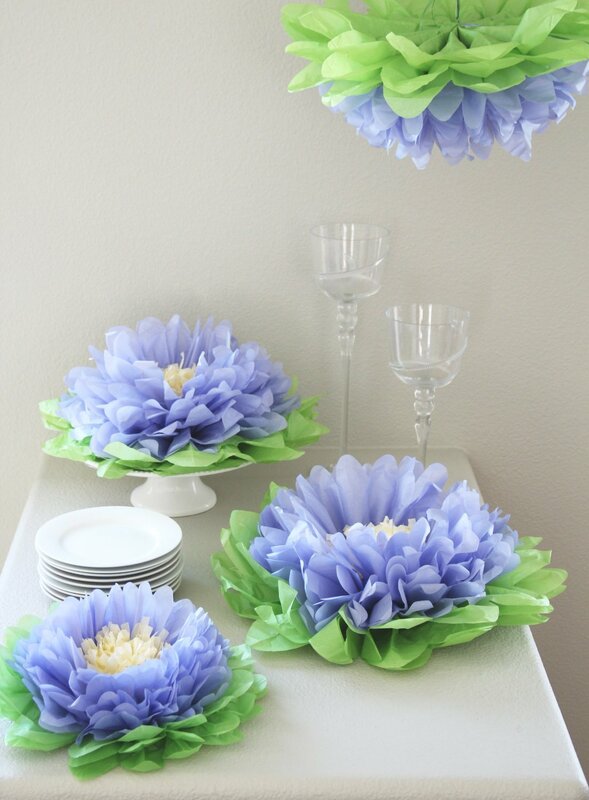 These are really pretty decorations that are super easy to make. You get a set of seven (3 large and 4 smaller). Each one comes with a string that you can easily hang it with. You simple pop them open and pull apart the tissue paper levels until it’s puffed out and full. They only take a second to set up and they are really cute after. It’s a great way to decorate for a party or event. We are planning to add these around the patio for 4th of July. It’s a great purple flower that makes a great extra color to your decor. Instructions of fluffing included with each package. We strongly recommend you watch our “how to” video. video link is printed on package.